Looking at my garden the other evening, I noticed a little green shoot sprouting. The next day I couldn’t believe the difference. Green shoots were everywhere. What happened? It had rained in the night and the plants got a good drink of water. Can the same thing happen with people? My client, Grace, at eighty-three was having multiple health problems from difficulty walking, dizziness and mental confusion, just to name a few. She had a spell and ended up in the ambulance on her way to the hospital. The first thing the paramedics did was put her on an IV of fluids. After numerous tests and a stay in the hospital, the doctor could find nothing wrong. 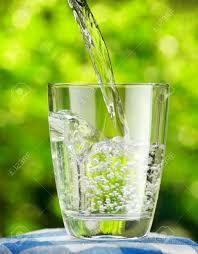 The next time you feel tired, lethargic or confused, drink a glass of water. You may be surprised how much better you feel. Like Grace and the plants in the garden, you may blossom. Water is a miracle drink that could change your life. Drink up!